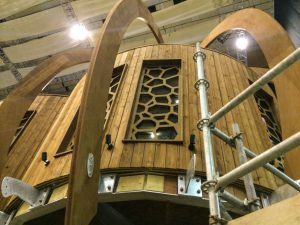 Whilst the materials and technology we’ll be showcasing with the Quiet Treehouse at the Ideal Home Show have been dubbed “next-generation”, they’re certainly not a thing of the future and are already easily incorporated into the treehouse designs of today. The Quiet Treehouse is taking shape. 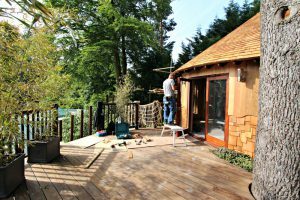 With the bulk of the construction over, we’re just a few days away from unveiling the world’s first Quiet Treehouse at the Ideal Home Show. With its cutting edge acoustic design and some of the latest Quiet Mark approved technology, it will be a haven from unwanted noise quite unlike anything before. 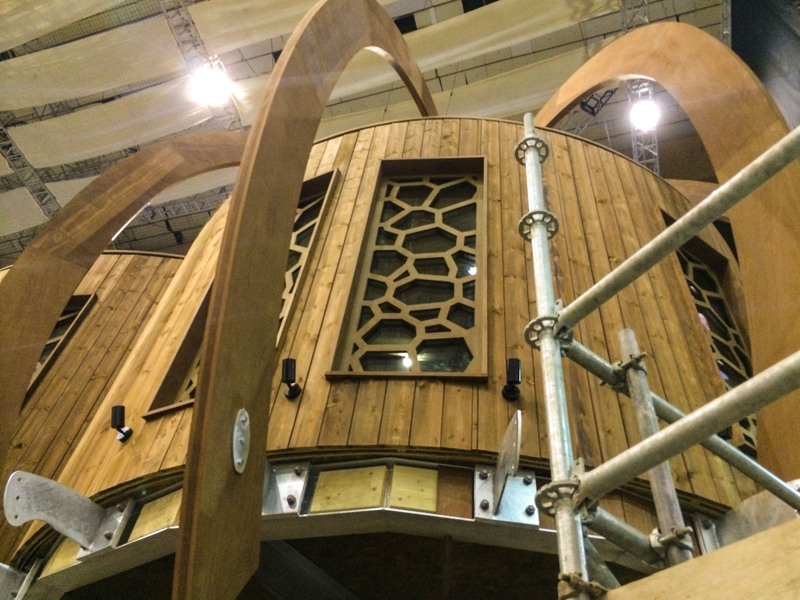 So we’ve dubbed it a next-generation treehouse. But whilst the materials we are using and the technology it will feature certainly are pioneering, they are by no means something of the future. Many of the principles we’ll be showcasing with the Quiet Treehouse already form part of our treehouse design and construction and will continue to guide our future projects. In designing the Quiet Mark tree house we’ve paid special attention to the ways in which unwanted sounds typically invade and travel through spaces. Prime among these suspects are the spaces in walls (i.e. room partitions), ceilings (especially dropped ceiling panels), doors, windows and ducting. 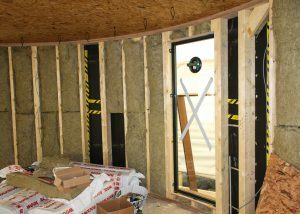 The interior is insulated with Rockwool to dampen sound and retain heat. 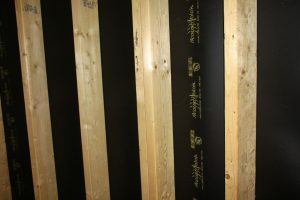 To minimise sound “leaking” through these gaps we’ve lined the walls, floors and roof with Acoustiblok, a 80% organic sound insulation, more effective than lead. 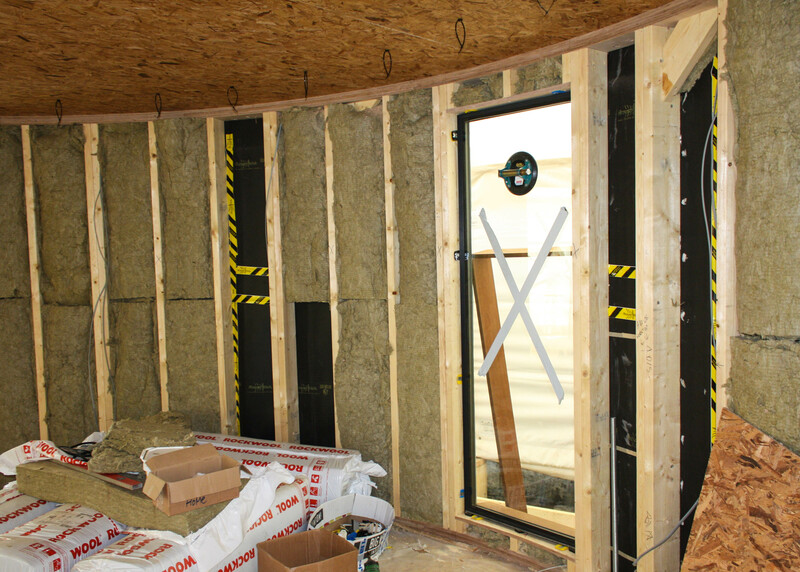 We’ve further insulated it with Rockwool, a stone wool technology derived from volcanic rocks to retain heat, further dampen sound and protect from fire. The windows, made by Cantifix with Pilkington Optiphon noise reducing glass, feature a special PVB interlayer that dramatically limits outside noise. Collectively these features keep outside noise out whilst minimising internal noise (like footsteps) and providing speech privacy. For anyone looking to create a truly private and serene escape, incorporating these noise-limiting innovations in the design and construction of their treehouse will be an intrinsic consideration. But we haven’t stopped there. Our design considered not only how to keep unwanted sound out. We’ve also given thought to how a space generates and reflects sound. This has taken us to the realm of architectural acoustics—the science behind the design of creating good speech intelligibility in theatres and excellent sound in concert halls and recording studios. 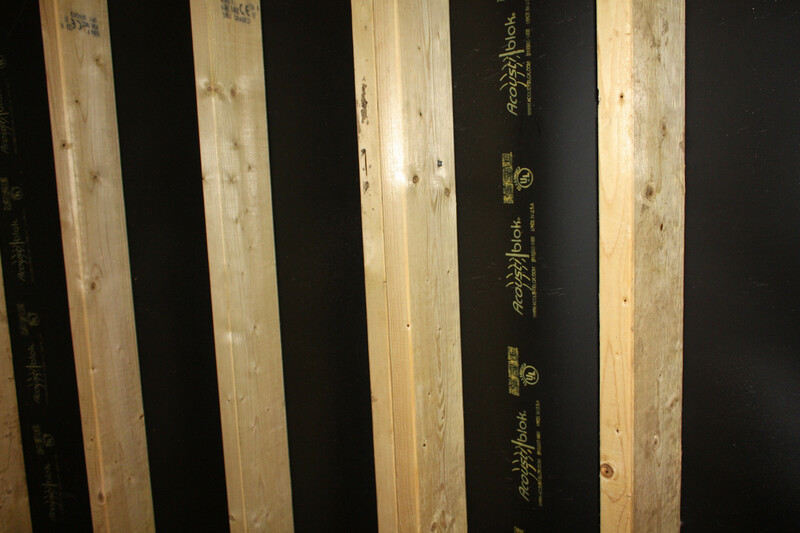 Acoustiblok panels lining the walls deaden sound more effectively than lead. By lining the walls of the Quiet Treehouse with Kvadrat Soft Cell panels we’re able to enhance the room’s acoustic properties to create a calm and productive environment—making it a perfect addition to any tree house intended as a study or place of rest. Finally, no luxurious hideaway is complete without at least a few basic creature comforts. Whether it’s a fully equipped live-in treehouse or an occasional retreat, you will invariably need a few gadgets. Quiet Mark, the driving force behind the Quiet Treehouse, have given much thought to the kinds of appliances and technology that will go into the Quiet Treehouse. Quiet Mark is the international mark of approval from the Noise Abatement Society and represents a commitment to the development of quieter technology. Letting Quiet Mark’s nod of approval guide you, you could easily add a fridge to your tree-top hideaway without having its clicking on and off disrupting your unwinding. For ideas on how to add a bit of “next generation” to your retreats, visit us at the Ideal Home Show in Earl’s Court from 14 March 2014.